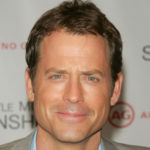 Greg Kinnear is an American actor and television personality. He was nominated for an Academy Award for his role in As Good as It Gets. Kinnear has appeared in many popular films, including Sabrina, You’ve Got Mail, Nurse Betty, We Were Soldiers, Little Miss Sunshine, Robots, Invincible and Green Zone, “The Last Song” and television roles, such as Friends, Talk Soup, The Kennedys, Modern Family and Rake. "Part of filmmaking is always a guessing game, and part of it is always a game of trust." "When I look back on my childhood, I think of that short time in Beirut. I know that seeing the city collapse around me forced me to grasp something many people miss: the fragility of peace." "There’s something in human nature, the trying-to-get-on-with-it quality of people, the struggle to maintain or keep the show going can be exhausting." "The irony is that you can’t use real rain to make movies." "Audiences don’t ever disappoint me, in the sense that movies I feel really good about, they usually feel really good about too." "I can’t not find humor in elements of most parts of life, but at the same time nothing ever seems perpetually funny to me." "Let’s keep the chemists over here and the food over here, that’s my feeling. What do I know? But that is a big aspect of fast food is their ability to artificially taint the colors and the smells and stuff to stimulate appetite."